Whenever there is a need for fitting small-sized connectors in compact devices, the 1.0mm pitch female header, or sometimes referred to as header connector, is ideally suited for this application. Not only does this female header space-savvy, but it is also designed for vacuum pick and place that makes it suitable for high volume automated manufacturing. 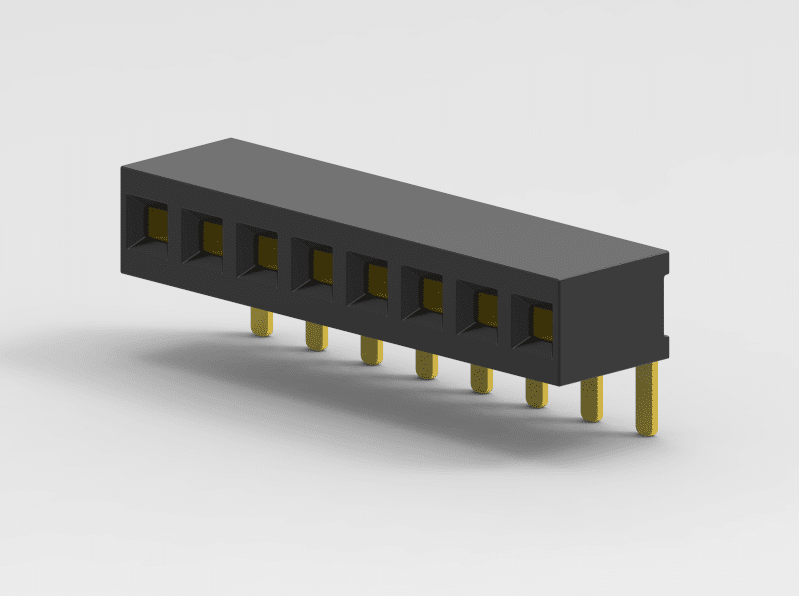 Scondar offers these low profile, easy-install, SMT or THM miniature female connector plugs at high quality and affordable China-quoted price, for board-to-board connection, snuggly fitting the pins of a male header and acting as a receptacle. Assembly and service is simple with either vertical (straight), elevated or at a right angle configuration/orientation, which can dissipate current of about 1.0 A or less in a tape and reel packaging. 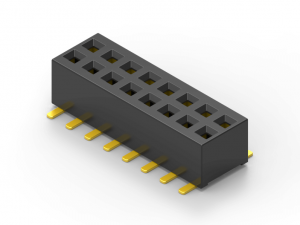 The filleted corners can also remove shadowing allowing optimization of LED output. 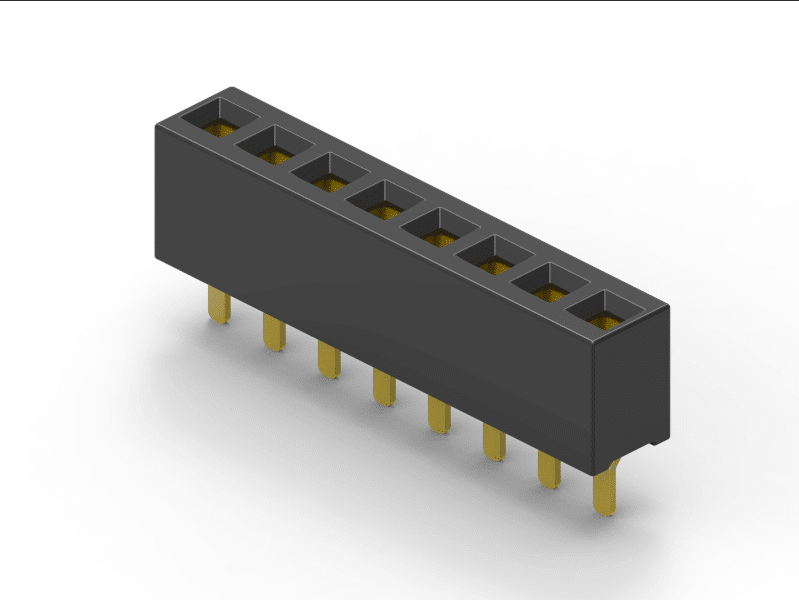 Also, the 1.0mm pitch female headers are made to work in Arduino boards, Arduino Pro and Arduino Mega with either single or double-row female headers, facilitating connections for programming and incorporation into other circuits. They have the perfect height for clearing the USB-B connector and great for stacking multiple shields. 1.0mm vertical single row female header, 1.0mm vertical dual row female header, 1.0mm Elevated single row female header, 1.0mm Elevated dual row female Header, 1.0mm right-angle single row female header and 1.0mm right-angle dual row female header are some examples of Scondar products with through-hole mount type. 1.0mm Right-angle Dual Row female header, 1.0mm SMT Single row female header, 1.0mm SMT Dual row female header and 1.0mm Elevated Dual Row female Header are Scondar’s SMT female headers. 1.0mm pitch female headers may be further classified into pin orientation as well, such as vertical or straight male header or right-angle female header. 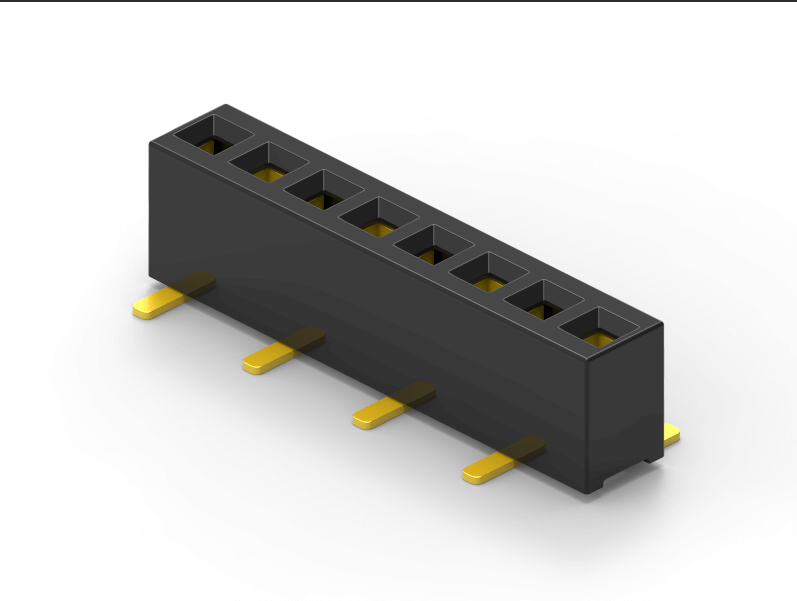 For a 1.0mm straight or vertical female header, the standard number of rows that Scondar offers ranges from 1 to 2 rows. However, customization can be available if 3 ,4 or n number of rows is needed by the customer. 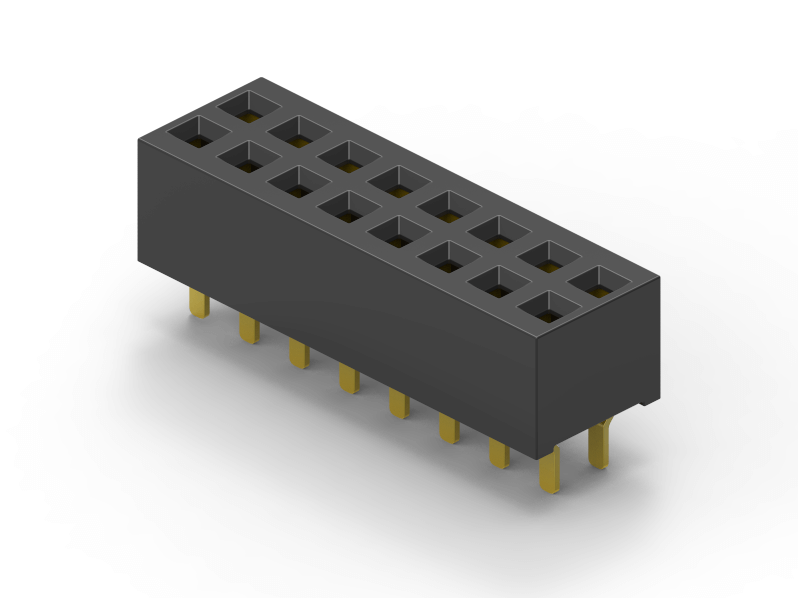 Also, the number of contacts for the single row is about 2-40 pins while for dual row, the number contacts may vary from 2-80 pins. 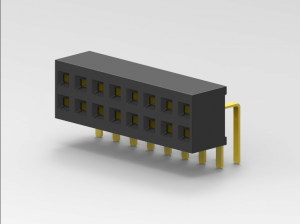 Customizable 1.0 mm pitch female headers are also available, making your manufacturing process way faster as the pins are already inserted in the headers, insulator height is made at the right size and the accurate pin length you require is followed.